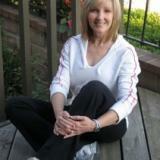 Fitness tips and health advice from Trainer Lady Diane Bechtle. According to the American Institute of Stress, numerous emotional and physical disorders are linked to stress. In fact, chronic stress affects each system of the body differently and can cause long-term health concerns. One of the greatest misconceptions about stress is that mental and emotional stress are not as detrimental as physical stress. Most people associate stress with work and a busy lifestyle, and although true, how we think and how we maintain our emotions affects the mind and the body. For many, their personal life is just as stressful as their career life, if not more so. In addition, people experience stress due to things like environmental toxins, overuse of technology, constant traveling, changing time zones or switching work shifts, which changes one’s biorhythm and can take several days to adjust to the new schedule. Therefore, stress is a part of the modern day life and the body will respond to the stress placed upon it. Stress that is stored in the body can show up in the most unexpected ways. Although associated with depression and panic attacks, stress manifests itself also through less obvious signals. These five signs indicate that something in your life is placing stress on your body. 1. A locked or tight jaw. When stressed, many people subconsciously clench their jaw or grind their teeth, which can lead to further issues such as temporomandibular joint (TMJ) disorder. To release a tight jaw, first bring awareness to when you clench your jaw. Is it during rush-hour traffic? Are you going to bed with a tight jaw? Deep breathing, jaw and neck stretches, and yoga can help promote muscular relaxation. Most people experience shrugged shoulders or tension in the upper-back muscles. Other unnatural muscular contractions include gripping toes, clenched fists or scrunched facial muscles. If you notice this, it is best to “check in” to alleviate subconscious holding patterns. Yoga or traditional stretches lengthen the muscles and train the body to relax. People experience pain in different parts of the body for various reasons. For example, someone who broke their ankle as a child may later experience, or channel, pain to that region during stressful situations. If you have pain in a certain area that has no pathology (diagnosis) or misalignment, stress could be triggering the pain. If this occurs, it is best to consult your medical practitioner who can direct you to the most appropriate therapy. Stress can affect digestion and the nutrient absorption process. Stress also affects how quickly food moves through the body. Constipation and diarrhea are often caused by a stressed-out digestive tract. If you haven’t eaten anything abnormal in a while and find that your elimination is not consistent, stress may be a contributing factor. Keep a log of how your mind and gut react to certain scenarios. When stressed, many people hold their breath or do not concentrate on a deep, elongated breath. Often the breath shortens and the chest tightens as a result of “fight or flight.” Holding the breath while stressed causes an increase in heart rate and stronger contractions from the heart. Deep breathing is an easy way to help overcome tension from holding the breath. Focus on matching the inhalation and exhalation with a five-second in-and-out breath. Here we are days before Christmas! May you enjoy the season and be able to appreciate God's love for you! It's the holi-DAYS, not the holi-MONTHS. Starting with Halloween, it seems that we often treat all of November and December as if there are no health rules. We eat and drink whatever sugary or alcoholic beverages come out way and skip workouts because “Hey, it’s the holidays, and you’ve got to celebrate.” With this perspective, it’s actually two full months—one-sixth of our entire year—that we spend derailing health with poor choices because we have to “live a little.” It’s essentially an extended sabbatical from sensible choices, and that’s too long if we want to be healthy. •You are doing with loved ones, friends, etc. This might sound corny, but it works. Get moving doing something you love with people you love. The positive effect on mood and mindset is almost magical. Moving while doing something fun with the important people in your life does more for you than just moving or just spending time with loved ones. The combination strengthens connections between people while enhancing the health of each individual. 5.Guarantee your workouts. Make your exercise commitment small enough so that there is no way you can’t fit it in. The busyness of the holidays often means you may not have time for your full workout, but fortunately even abbreviated workouts offer great benefits. Whatever you do has benefit so make sure you do something! Your brain on exercise: Check this out! Are you a snacker? If so, join the club. Today, almost everybody snacks. Is that good or bad? More people are snacking more often than a few years ago. Women average 400 calories a day in snacks, men average 600. People are skipping meals and not planning, so snacks become an easy substitute. The studies also zeroed in on common snacks - mornings include yogurt, baked goods and snack bars; afternoon choice was usually chips and/or fruit; evenings, indulgence in ice cream and candy. Any of this sound familiar? Most of us are there with you!! The problem with snacks is that most people don’t include them in their daily calories - they’re eating good meals, but ignoring the 400-600 extra calories in their snacks. No wonder our weight doesn’t drop! *Count your snack choices as servings of food - especially when meals are unpredictable. Be intentional about your snacks and watch portion sizes for calorie control. For example, when nuts are mentioned, that means 5-7, not handfuls! *Think of snacks as “mini-meals”. Make choices that you’d include if you were sitting down to a meal. *Water, protein and fiber make the most satisfying snack. Fruits and veggies provide natural sweetness and fiber plus potassium, yogurt (unsweetened) counts for protein, and we get protein, good fats and fiber from nuts, seeds, and whole grains. Drink lots of water throughout the day. Sometimes thirst imitates hunger. Staying healthy and weight conscious doesn’t mean eliminating snacks. They are actually a good way to keep your blood sugar levels even throughout the day and your hunger at bay. Just plan your choices! It won't kill you to grill. Grilling meat does produce a couple of chemicals that may increase risk of cancer. Both chemicals (HCA and PAH for those of you science-types that want to look them up) are influenced by 7 factors: type of food, how it’s cooked, temperature, how long it’s cooked, type of fuel used, fat content of the food, and the distance from the heat. The good news is that it is easy to lower the HCA and PAH contents of the foods we grill! Use high-quality whole, non-processed cuts of meat such as steaks, chicken, ribs, and fresh seafood. Include lots of fruits and veggies - when paired with grilled meats, they help fight potential carcinogens by adding antioxidants. Strategize while cooking - cut meat into smaller pieces to shorten cooking time. We all try to eat healthier, but sometimes we can be sidelined by the following ingredients that are common to packaged foods. Be aware of what you are putting into your body and what the consequences may be . . .
Carrageenan - a seaweed-based sugar molecule found particularly in dairy products, dairy alternatives (soy and almond milk), frozen meals, desserts and nutritional drink supplements. Carrageenan can trigger an immune system response similar to food poisioning - leading to inflammation in the digestive system. Monosodium Glutamate (MSG) - the flavor enhancer commonly used in Chinese food, canned foods, and in fast food restaurants. Most of us have heard of this one and have heard of it causing headaches, nausea and heart palpitations. More recently, researchers have begun to link it with neurological and endocrine disorders. Glutamate may appear on labels as yeast extract, calcium casseinate, or beef flavoring. Texturized Vegetable Protein (TVP) - a soybean-based meat alternative that is used as a source of protein in processed foods. It is usually highly processed and chemically altered relying on artificial colors, thickening agents such as nitrosamine (carcinogenic substance), and flavor enhancers like MSG. Whey Protein Isolate or Soy Protein Isolate - a supplement made from protein stripped from whey (watery part of milk) or soybean. This protein is very common in protein bars and powdered drinks as well as processed foods. It can contain trace amounts of heavy metals. The soy protein is usually made from genetically modified soybeans with a herbicide residue. Granted - we are probably not going to experience nausea, diarrhea, weight gain, headaches, cancer, or be poisoned by metals if we happen to consume any of these ingredients in moderation!!! However, I am finding them in more products as I am aware and reading labels carefully. Just BE AWARE of what goes into your body. Here are 5 thoughts that go through our heads when we are looking at food and trying to figure out how it fits into weight loss. Each of these beliefs just touch the surface. I would love to continue in conversation with any of you who would like to have more information or further discussion!! Please comment at the end! We all learn from each other’s experiences and wisdom, and this is a forum to share. Dieting is not about willpower. If it were about that or just wanting it badly enough, the world would be thinner. Successful weight management is about change and beliefs. People can be healthy, no matter what their weight or body mass index is. Health has many variables. It is far too complex to limit it to a number on the scale. For weight management to last, it cannot be such a difficult process that we feel like we are going to suffer - that most certainly guarantees that we won’t. In order to effect long-term change, we need to improve the path to where we want to go. Instead of “suffering through,” we need to focus on ways to make living with less food or fewer calories easier. Be more thoughtful and make choices each day that will carve your path to success. No doubt exercise has a powerful impact on our bodies - if it didn’t, I surely wouldn’t have a job!!! However, when all is said and done, food choices are responsible for 70-80% of a person’s weight, and fitness covers the remaining 20-30%. Pretty staggering, huh?? Unfortunately, our modern food environment might pack a caloric potential to erase nearly an entire week of “perfect” choices in 1 cheat meal. Not a whole cheat day - 1 meal! OK - here’s a perspective: if you were aiming to lose 1 lb a week, 5 day’s worth of effort would go to just work off that 1 cheat meal. Cheating also makes it easier to cheat more - enough said! Feeling the need to cheat is probably coming from something else being wrong or overly restrictive food choices. Unused muscle turns to fat - if you stop lifting weights, muscles shrink. Lack of regular exercise coupled with poor eating habits is a recipe for fat storage. Exercising in the “fat burning zone” (i.e. At lower rather than highter intensities) is best for fat loss - studies show that alternating high-intensity with active recovery burned more fat in 20 minutes than exercise at a moderate pace for 40 minutes. The more intense the workout, the more calories are burned during and after exercise. Crunches carve the core - for that six-pack to be revealed, the fatty layer covering it must burn away. One study found that 6 weeks of abdominal training was not enough on it’s own to reduce belly fat. Food choices and cardiovascular exercise have to be a part of reducing the fatty layer. Exercise alone can overcome poor eating habits - An average person would have to run 6-7 miles to burn off the 750 calories in a McDonald’s Double Quarter Pounder with cheese. Preworkout stretching reduces injury risk - postworkout stretches have been shown to be most effective as your muscles are warm and more pliable. Now for that app - Charity Miles (charitymiles.org). Raise money for one of 28 charities every time your walk, run or cycle with this app funded by corporate partners Timex Sports and Humana, among others. It tracks your distance and donates 25 cents for every mile you walk or run, or 10 cents for each mile you bike. Exercise - the gift that keeps on giving - now to you AND others!! Good enough for what, you may ask? And to that, I say “good enough” for you! For a sense of being OK with where you are. We are all works in progress. Part of being “good enough” is freeing our minds from guilt. How do you view goals and lists? As things to absolutely get done, or things to glance at every once in a while? How do you feel when that goal or list is or isn’t complete? Overwhelmed and defeated, “I don’t care,” or somewhere in between? We all need the feeling that we are moving ahead -- or at least not backward in our lives. Cultivating a sense of progress is essential to our growth. Whether it’s at the gym, at our jobs, or in relationships, “small wins” are important to prevent our morale from crumbling. Progress is a relative term for each of us - not an absolute. Measuring success in your own stage of life without comparing with others will foster a guilt-free mind and heart. Running is my outlet. I can put on my music, escape life, clear my head and work out anxiety. For the past few years, a chronic achilles problem has prevented me from running. Disappointing - YES! Discouraging - YES! I have had to drastically use a different measure to prevent defeat. My “small win” now is being able to walk my trail, and being OK with that. Am I running the LA Marathon like my client Kristen (you go, girl!!)? No. Is where I am good enough for me? Yes. Does the term “new year’s resolution” send excitement your way or a sense of dread? Most new year’s resolutions tend to focus on our flaws. We vow to lose weight, exercise more, eat healthier, get organized, clean out our garage, worry less, or balance our lives. Self-improvement is good (I know I can use some), but starting the year by putting such burdens on ourselves seem to be self-defeating. That is probably the reason that only 8% of people keep their resolutions. What if we focused on our strengths and talents as we usher in the new year. What do you love to do? What do you do best? We are all gifted in so many ways. Use your goodness to give to others. Invest your goodness in the lives of people around you that are in need. Love to cook? Find a family that would be encouraged by a meal. Is organizing your thing? Help someone get their office in order. Do you love people? Invite someone over and encourage them in their life journey. Love kids? Babysit for a young couple who can’t afford a babysitter. Jot someone a note if that’s your thing. Put your gift of creativity to use somewhere. As we give, we do improve and I can guarantee that the rewards are great. There is no room for self-defeat here, only a huge sense of satisfaction!! Try it, you’ll like it!! Besides making me laugh, it got me thinking . . .
A square is a box - our thoughts are boxed in when we tell ourselves that taking care of ourselves will happen in January “when things calm down.” How many of us just “make it” through the holiday season and are exhausted at the end? How much of that is due to us not taking care of ourselves, and how fun is that? Let’s journey together to get our minds (and bodies) in better shape by thinking outside the box now before the box closes in on us! Choose nutritious food 80% of the time. The 20% will take care of itself. NO “all-or- nothing” approach to eating. Keep some kind of healthy filling snack and water with you always (see recipe below). Life is busy, and a fast food drive-thru isn’t the best choice when you are hungry. Just move - whatever you are doing, move more quickly than usual. Every step and movement counts! Your body will love it. There is time. The box says there isn’t! Find what refreshes you and just do it! Avoid the “just one more thing tonight” mentality when it is getting late. Go to bed and sleep. It will be easier tomorrow anyway because you will be refreshed. Let’s evaluate the thoughts in our holiday box - - toss out the old ones that are harmful to us - - and get our minds in better shape. Our bodies will follow and thank us. Place almonds and oats in food processor and blend until a course crumb. While blending, add the boiling water slowly until the mixture becomes well-incorporated. Press the dough into a oiled 8X8 pan. Refrigerate for 1-2 hours before slicing into 12 bars. What's Up with all the Hype about Antioxidants? Why the Hype??? What’s up with Antioxidants? What is a Free Radical? Antioxidants (Good guys) are chemicals that break down or neutralize the damaging effects of free radicals. Free radicals (Bad guys) are chemicals produced as a byproduct of normal cellular metabolism. They are destructive and cause oxidative damage to tissues as rust damages pieces of iron left outside in weather. They damage proteins, fats, and even our DNA. “Normally”, there is a balance between the rate at which free radicals (bad guys) are produced and the rate at which they are eliminated by the action of antioxidants (good guys). So - what’s the problem? “Normally” would be the way our bodies functioned way back before any of us were even considered. Fresh produce, fresh meat, fresh fish, fresh poultry, no fast-food, clean air, few cars producing exhaust, lots of wide open spaces and tons of movement in our day gave our bodies most of what we needed to function optimally. We don’t live in these “normal circumstances” any longer. We live in big cities, and most of our food isn’t what it once was. Free radicals (Bad guys) are not only produced by what we eat, but by the air we breathe, and stressors in our lives . . . wait . . . none of us have any stress, do we? Thus the need for more antioxidants (Good guys). The good news is that there is supplementation available to us and we can choose to eat better and exercise to provide our bodies with more good guys. Better news is that there are foods that will signal our DNA to turn on the production of protective antioxidants, and these will be far more powerful than any supplement. These foods are broccoli and other cruciferous veges (cauliflower, brussels sprout, cabbage), green tea, coffee, turmeric www.whfoods.com/genpage.php?tname=foodspice&dbid=78‎, and resveratrol www.doctoroz.com/vp-videos/resveratrol-animation‎. It's Summertime!!! Drink Up!! Water, that is. Good hydration helps prevent constipation, exercise-related asthma, high blood glucose, and protects against heart damage. It fills us up and helps keep our metabolism revved up. It's just plain good for us. About 20% of the water you consume comes from food. The rest (aim for 50-60 oz daily) should come from liquids we drink. Just remember that liquids with caffeine are dehydrating, so additional water is needed to replace what is lost. Unless you are exercising intensely for 90+ minutes on a given day, avoid sports drinks as they add sugar and or corn syrup - we surely don't need extra calories!! As the weather heats up, so may your summer activities. It's easy to "grab and go" when it comes to food. Pause, breathe, and ask yourself these questions before running out the door - - - you'll be on your way to better enjoy those summer activities as you fuel your body properly! 2. Am I in a state of physical hunger? 3. How much is prudent for me to eat or drink at this time? ARE YOU RETAINING WATER??? Carbohydrates, Fats, and Protein are our main sources of energy. We need all three of these in our daily food intake. I just read in one of my journals (I keep learning with you! ): As carbohydrate is stored in the form of glycogen, it binds to water in the liver and muscle. Changes in carbohydrate storage often result in meaningful shifts in fluid storage. That, my friends, results in water retention and weight gain. Feeling bloated or just kinda heavy? Cut back on your intake of fruits, grains, potatoes, cereals, and sugars. Add extra protein to satisfy your hunger, and let the water flush out. YOUR MOM WAS RIGHT! That is, if she told you to stand up straight. Nearing a birthday this Friday, I am very aware that gravity is not kind to us as we age. A recent visit to my chiropractor reminded me that kyphosis (shoulder rounding) is happening and may lead to lordosis (sway back) which pulls on my glutes and hamstrings and down my legs it goes. Not a pretty picture! As I have been very aware of my posture this week, I am practicing some tips . . .
- look straight ahead rather than down while walking, running, mowing the lawn, shopping, etc. - how's your posture right now as you are sitting at your computer??? Take a week-long challenge with me to "stand proud" and practice these tips. None of us want to be more stooped-over than we need to be when we are old! For more detailed information about each of these 10 ingredients to avoid, including why to avoid them and what they’re used for, check out FoodIdentityTheft.com, a nonprofit organization dedicated to informing consumers about food-safety issues. TIME TO SAVE MONEY ON A GARDENER??? Gardening can cultivate fitness along with plants. Here in So CA, spring has sprung, so I wanted to share some tips with you as you are coaxing blooms out of your hibernating yard. We all know that regular physical activity reduces the risk of many diseases. But did you know that gardening can provide the same benefits as other types of physical activity? - Raking is like using a rowing machine. - Carry a gallon sprinkling can of water in each hand and you’ve got 8 lb dumbells. - Pushing a lawnmower is like walking on a treadmill, only much more interesting and rewarding. Stress good posture and balance while working - - kneel instead of stooping, lift with bent knees and a straight back, and hold in your abdominals with every movement. Enjoy the outdoors, drink in the spring sunshine (with your sunscreen on), plant flowers, and maybe start an easy herb garden in containers. Mental health is just as important as physical activity for our well-being! A Good's Night's Sleep? Who has time for that?? - Eliminate electronics from your room and your routine for 1 hour before bed. The blue light on ANY electronic interrupts your natural hormone levels and alerts it to stay awake instead of going to sleep. - Use blackout curtain to make the room dark. - Develop a good pre-sleep routine that your body will get used to. - Optimize your body's sleeping temperature by taking a hot shower before bed and turning down the thermostat. We naturally sleep better in a cooler room. Happy zzzz's make for healthier, happy people!! High vs Low-Intensity Exercise - which is better for fat-burning?